TechHire is a national initiative that creates pathways for talented and motivated- but overlooked and underrepresented candidates to get into well-paying technology jobs. TechHire is a White House-focused initiative designed to close the widening skills gap faced by employers seeking technical talent from the local workforce. 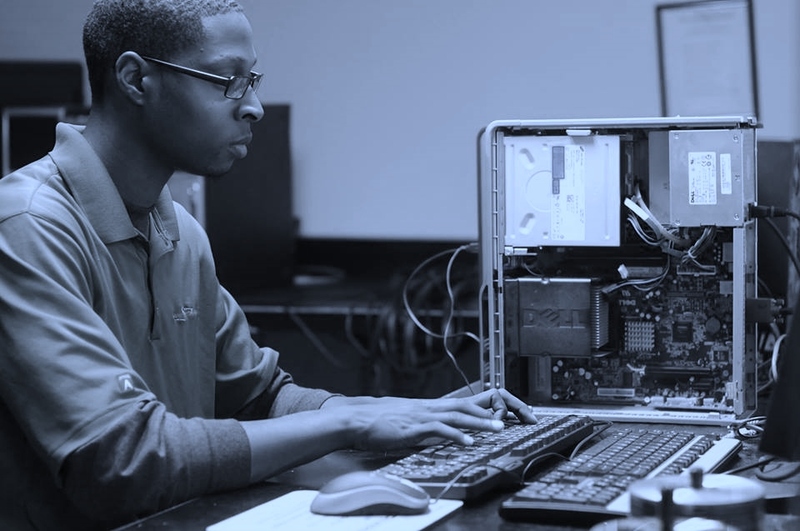 TechHire strives to increase the number of employable technical workers through the use of innovative training programs. At its core, TechHire is a network of regions across the country that are working to build an ecosystem where government, employers, training providers, and other stakeholders work together in collective action to achieve a unified goal—developing a pipeline of diverse talent to meet employers’ rapidly growing IT workforce demands. There are currently 50 TechHire communities across the U.S. and each TechHire community is actively recruiting employer participation, incubating accelerated learning programs, and expanding job placement services. In 2015, SmartRiverside received a special ‘TechHire’ designation from the White House and joined over 120 other TechHire communities focused on delivering accelerated technical training programs for non-college bound youth. The SmartRiverside TechHire Program became part of a new initiative within SmartRiverside called “Code to Careers” which strives to deliver accelerated technical training programs and pathways for noncollege bound youth and young workers pursuing careers in the technical fields. Over the past 2 years, Code to Careers, SmartRiverside TechHire and its partners have trained over 600 students in areas of software development, CAD/CAM, automated technical maintenance, 3D printing, additive manufacturing, robotics, and programmable logic controllers. Code to Careers wants to expand its training offerings and serve as a catalyst to encourage employer engagement to meet prospective talent and establish ongoing apprenticeship and internship programs.